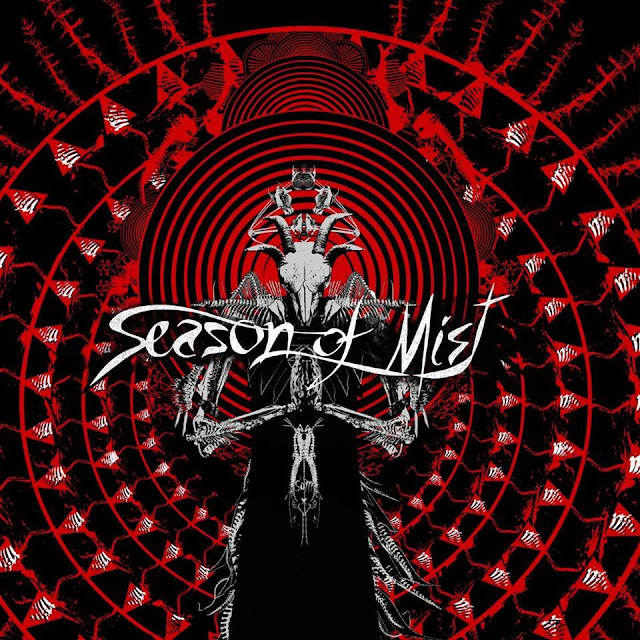 Strong opening musically by this band -then vocals come in and surprised me, clean vocals. I say that only because I have not heard of this band before. I really enjoyed this first track from their album and makes me want to hear the rest of it when it becomes available. 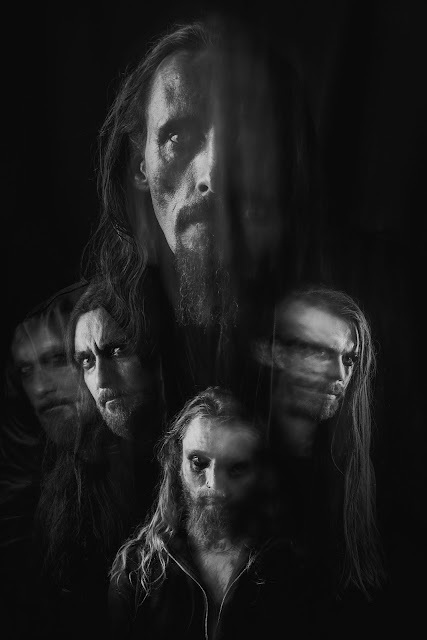 Gaahls WYRD, fronted by legendary black metal vocalist, frontman, artist, and composer Gaahl, will release their highly anticipated debut album ‘GastiR – Ghosts invited’, via Season of Mist on May 31. Gaahl is known as one of Norway’s most talked about and respected extreme metal musicians. His work with TRELLDOM, GORGOROTH, WARDRUNA, and GOD SEED has been widely regarded as some of the best the black metal scene has had to offer. 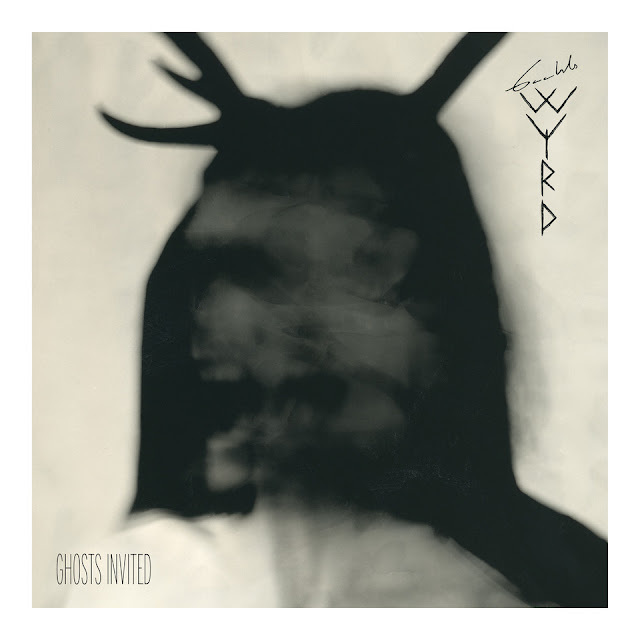 Under the moniker Gaahls WYRD, the vocalist assembled some of Norway’s finest metal musicians. The band consists of Ole Walaunet (The Batallion, God Seed, Grimfist), Frode Kilvik (Krakow, Aeternus) and Kevin Kvåle (Horizon Ablaze). 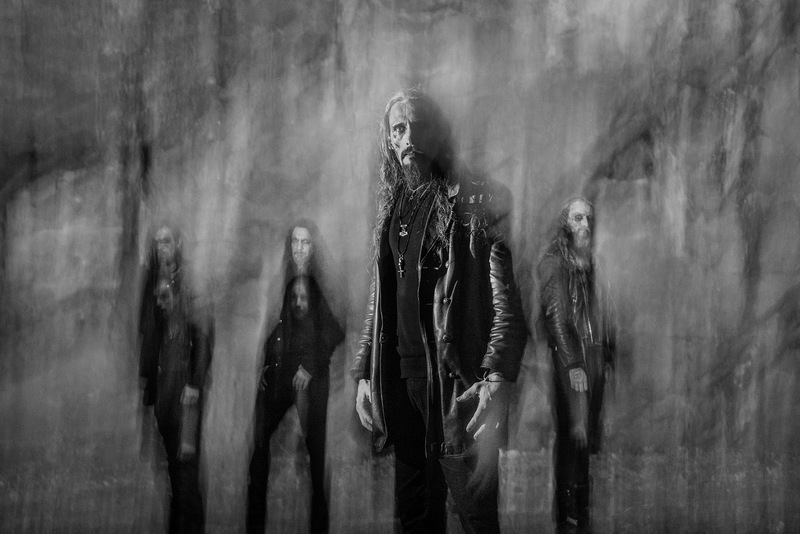 This highly qualified bunch has recently toured a finely selected, career-spanning repertoire from Gaahl’s time in TRELLDOM, GORGOROTH and GOD SEED to great acclaim. 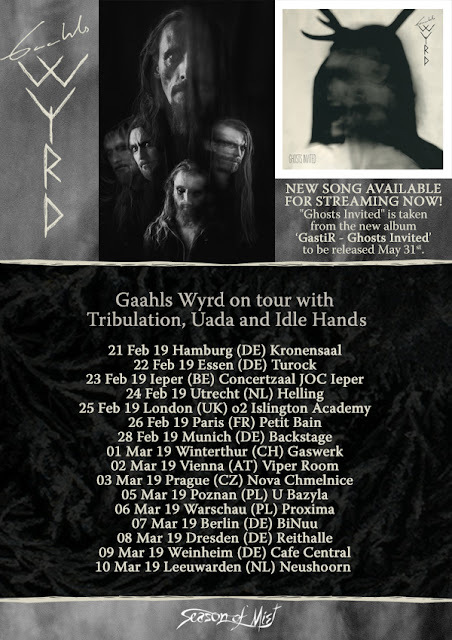 For more on GAAHL'S WYRD, visit their OFFICIAL WEBSITE and FACEBOOK page. GAAHLS WYRD is about to embark on a European co-headliner tour with TRIBULATION, UADA, and IDLE HANDS. All dates can be found below. The cover artwork of the single can be found below. Please note that the artwork for the full album will be different and has not yet been revealed. The tracklist of the record, 'GastiR - Ghosts Invited,' is also listed below.